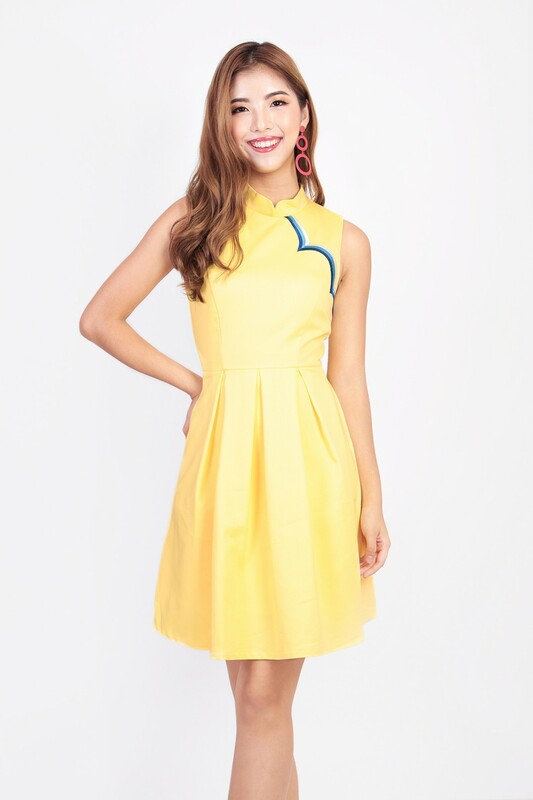 Notice anything different in this cheongsam dress? That’s right - it’s embellished with vivacious stripes at the bodice. Crafted in a sleek fit-and-flare cutting and best styled with heels of course. Also available in Powder Blue / Red and in XXS - XXL. Made of signature polyester blend. Full satin lining. Slightly-stretchable. Back zip. Comes with 2 side pockets.